Did you know your Community facility could be entitled to a funded heating upgrade? Funding is available for Scottish community facilities - such as community centres and sports halls - to upgrade their heating systems with renewable energy. Here at Lowergy, we understand that many organisations can be put off by what is often considered a complicated and convoluted process. And that is why we are currently working together with several funding organisations, where we endeavour to source funding for community/sports halls, with eligibility ranging from 40% to 90% funding. Remember though, the reduced rate of VAT for energy saving materials installed in buildings used for a relevant charitable purpose is to be withdrawn from August 2013 so get in touch now to take advantage of what funding streams may be available your organisation. 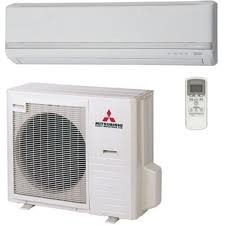 Lowergy’s Air to Air Heat Pumps can save 30 - 50% off energy bills.